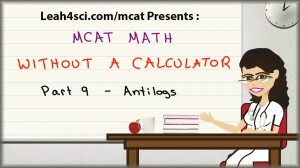 This video picks up from MCAT Math Part 8 – Logs and Negative Logs showing you how to solve questions where the log value is provided. 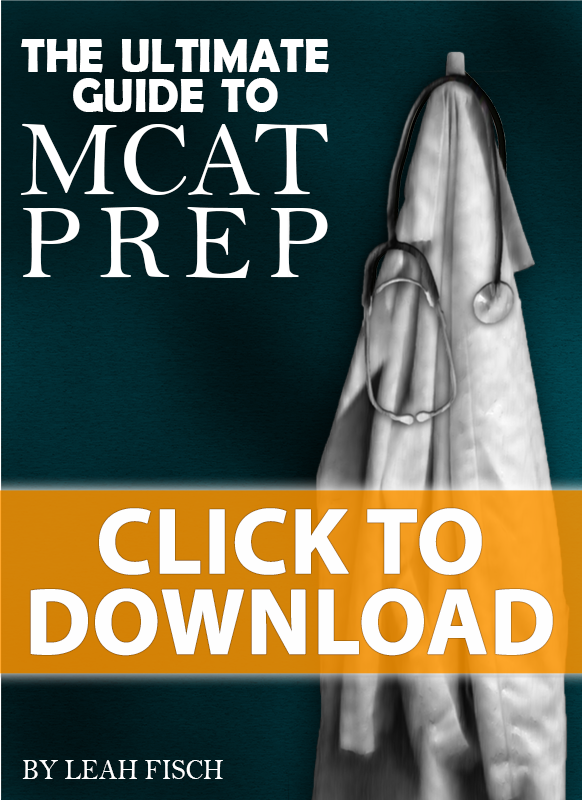 Instead you’re asked to solve for the anti-log value in questions relating to ion concentration and Ka values. Anti-logs, just like logarithms, are difficult to calculation without a calculator UNLESS you know the tricks and shortcuts to apply. 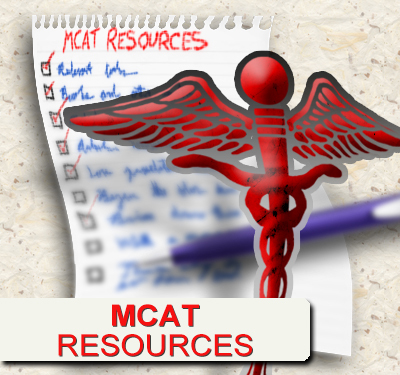 Watch the video below to learn how to tackle these MCAT style questions. Chemistry Buffers/Ka Question: Find the ka of an acid whose buffer has a pH of 4.19 in a solution containing equal moles of acid and conjugate base. How did you decide that the answer was # x 10^-5 rather than # x 10^-4? Because the range for the pKa was between 4 and 5, so what made you conclude that the pKa was closer to 5 than to 4? I think you may have misspoke… 6.46 is closer to 5 than to 8 🙂 These videos are very helpful!! At 3:48, how did you just concluded that 4.19 will give you a number (#) x 10^-5? I know that is what the answer ends up being, but how did you just jump to that? Hi Leah, I am confused as to what the .1 .3, and .5 values refer to? is that the value of the pKA? what is the value of 10 raised to -0.2??? ?